The Sabrosos is a very nice smoke in hand. Nicely balanced and smooth. I get dry cedar flavours as the main notes throughout this cigar. A rich nutty feeling gives this cigar a great character. A powerful yet mellowing taste. These cigars offer good value; very good draw force, although sometimes uneven burn, but always tasty and at a reasonable price for a quick smoke of 20 or so minutes. 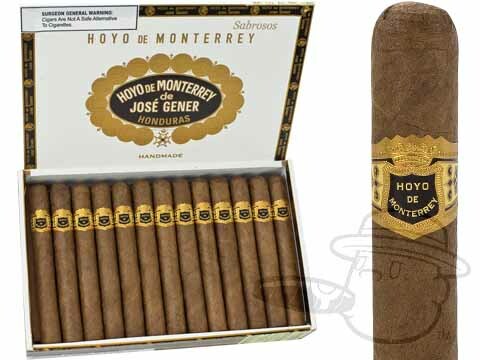 Hoyo De Monterrey Sabrosos Natural is rated 4.5 out of 5 based on 4 customer ratings.